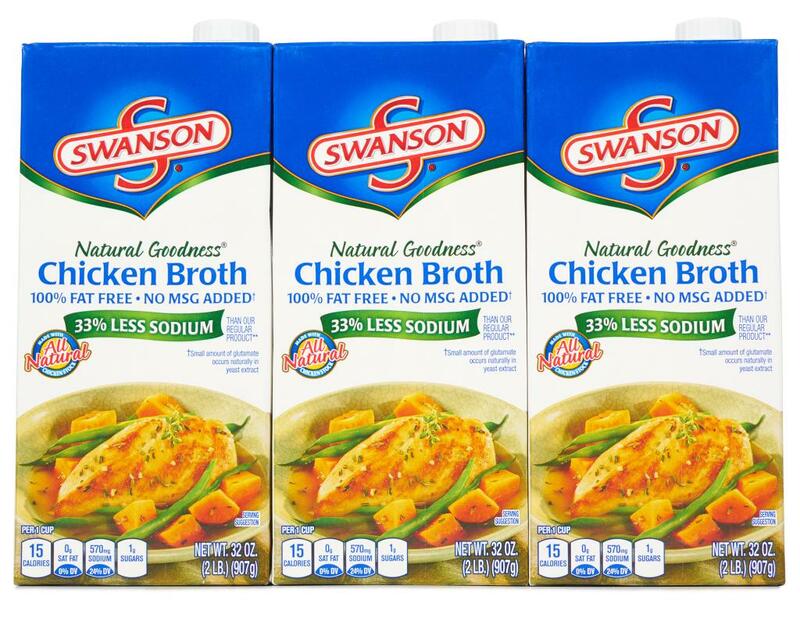 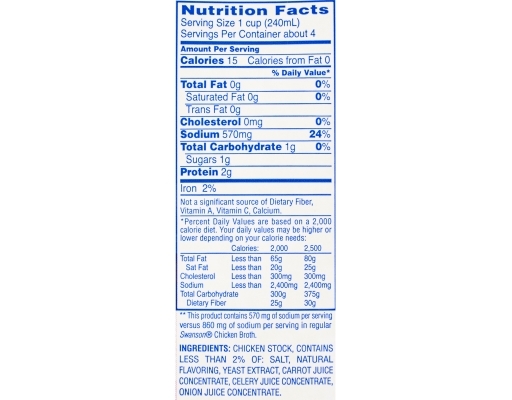 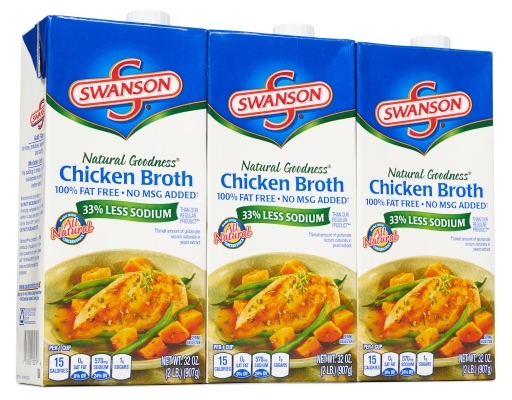 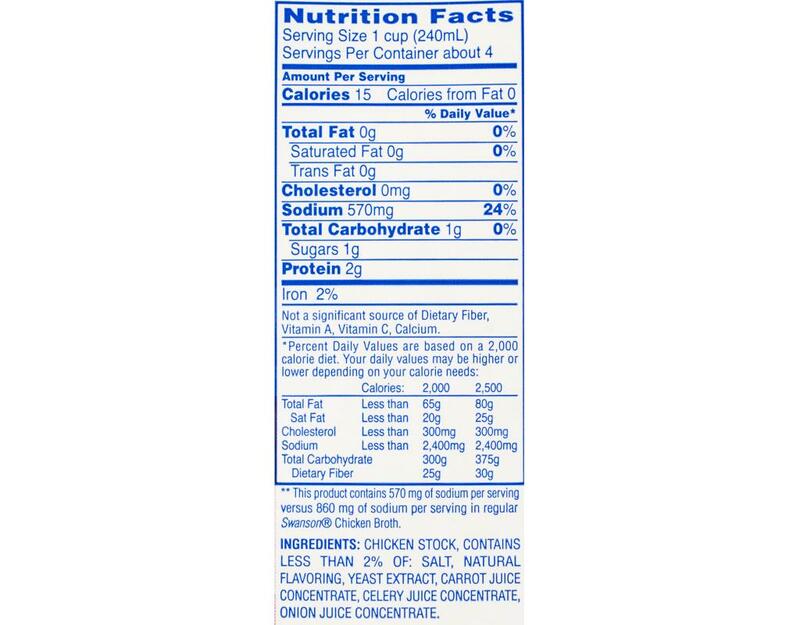 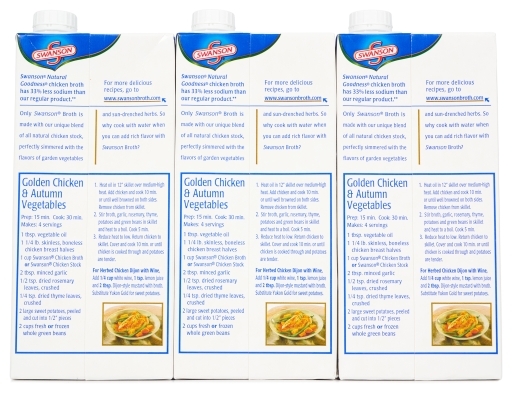 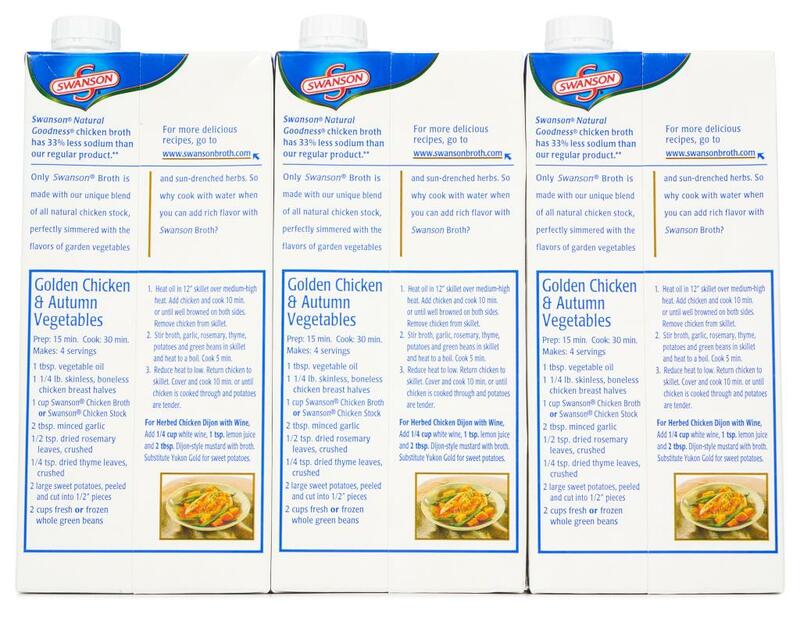 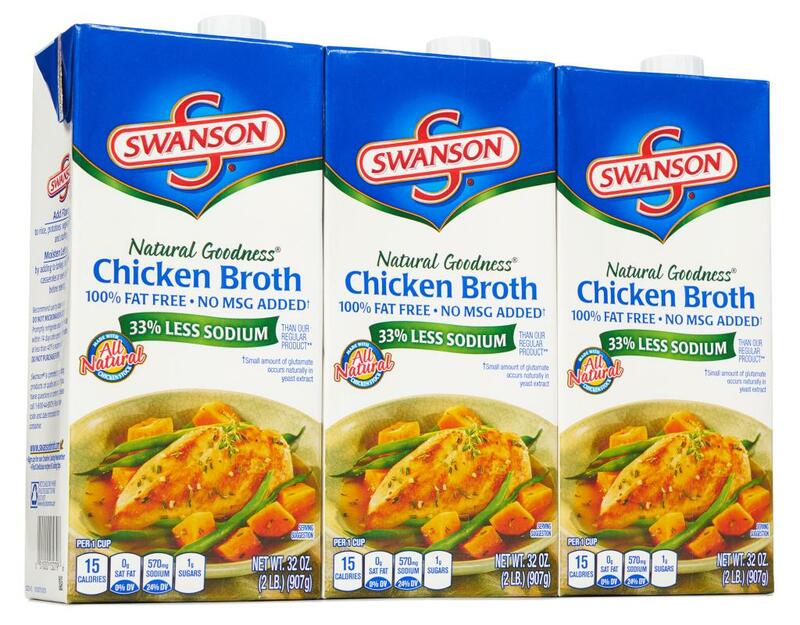 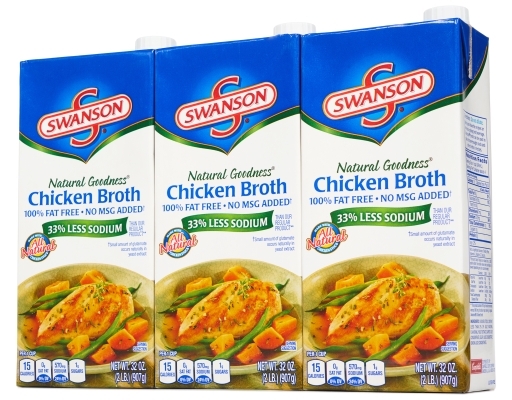 Swanson Natural Goodness chicken broth has 33% less sodium than regular Chicken Broth. Only Swanson Broth is perfectly balanced with a unique blend of all natural chicken stock and seasonings perfectly simmered with the flavors of garden vegetables and sun-drenched herbs. 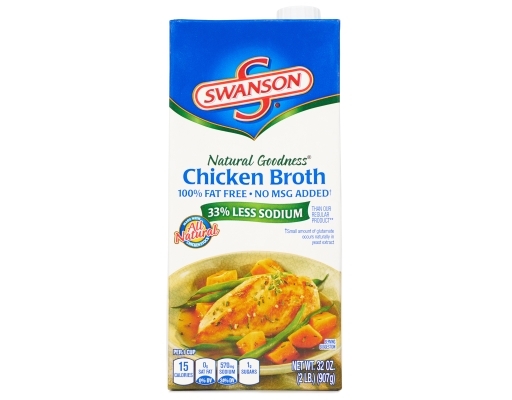 So why cook with water when you can add rich flavor with Swanson Broth?